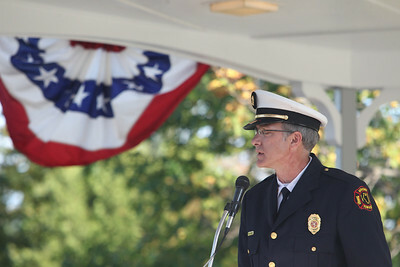 Sarah Nader - snader@shawmedia.com McHenry Township Fire Protection District Chief Tony Huemann speaks during a commemoration at Veterans Memorial Park in McHenry Wednesday, September 11, 2013 to honor those lost in the Sept. 11 terrorist attacks. 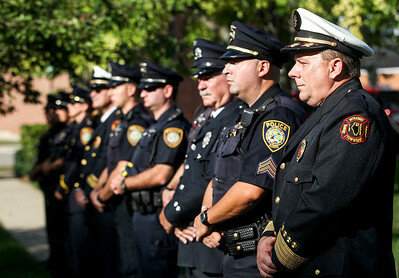 Sarah Nader - snader@shawmedia.com Deputy Fire Chief Rudy Horist (right) stands with McHenry Township Fire Protection personnel and McHenry Police officers at Veterans Memorial Park Wednesday, September 11, 2013 to honor those lost in the Sept. 11 terrorist attacks. 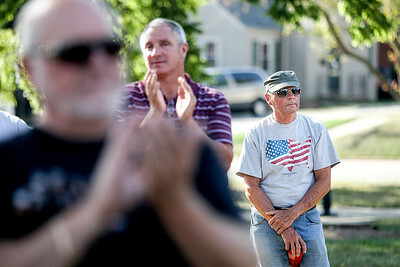 Sarah Nader - snader@shawmedia.com Jerry Loebbaka (right) of Lakemoor attends attends a commemoration at Veterans Memorial Park in McHenry Wednesday, September 11, 2013 to honor those lost in the Sept. 11 terrorist attacks. 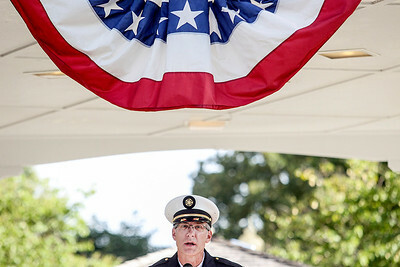 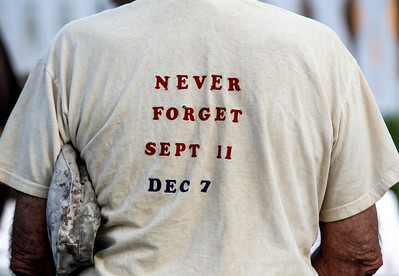 Sarah Nader - snader@shawmedia.com A veteran attends attends a commemoration at Veterans Memorial Park in McHenry Wednesday, September 11, 2013 to honor those lost in the Sept. 11 terrorist attacks. 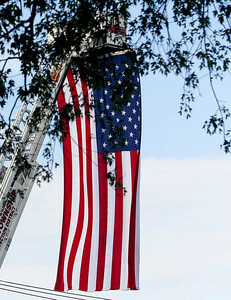 Sarah Nader - snader@shawmedia.com A commemoration was held at Veterans Memorial Park in McHenry Wednesday, September 11, 2013 to honor those lost in the Sept. 11 terrorist attacks. 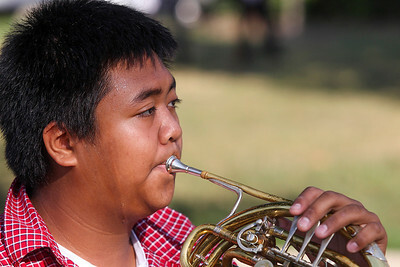 Sarah Nader - snader@shawmedia.com McHenry's Jeremy Sacramento plays the French horn with the McHenry High School band during a commemoration at Veterans Memorial Park in McHenry Wednesday, September 11, 2013 to honor those lost in the Sept. 11 terrorist attacks. 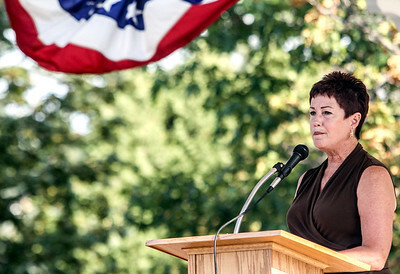 Sarah Nader - snader@shawmedia.com Mayor Susan Low speaks during a commemoration at Veterans Memorial Park in McHenry Wednesday, September 11, 2013 to honor those lost in the Sept. 11 terrorist attacks. 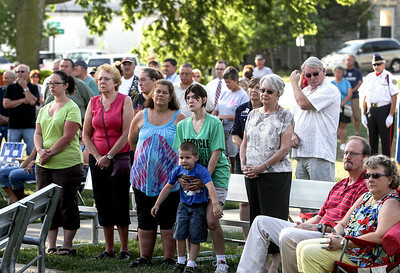 Sarah Nader - snader@shawmedia.com A moment of silence is observed during a commemoration at Veterans Memorial Park in McHenry Wednesday, September 11, 2013 to honor those lost in the Sept. 11 terrorist attacks. 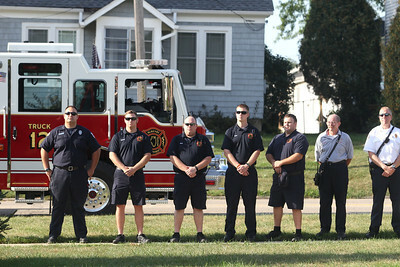 Deputy Fire Chief Rudy Horist (right) stands with McHenry Township Fire Protection personnel and McHenry Police officers at Veterans Memorial Park Wednesday, September 11, 2013 to honor those lost in the Sept. 11 terrorist attacks.